Welcome to eNotesMBA - an interactive platform for MBA students. We are here to help you, guide you, and provide you relevant study material for your MBA studies. Here you'll get study material in form of enotes, PPT files, PDF files, and DOC files, that can be used for references and also be downloaded. Further you'll get proper help, guidance, and possible support for your MBA Project works and Assignments, here we'll suggest you good project topics and ideas and also provide Sample Project Reports, and Complete Project Reports on suggested topics. The author of this blog is Manish Patidar, he is an MBA in Marketing. 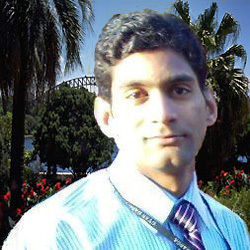 By profession he is a professor, teaching MBA students in India. All the best for your MBA Studies.